Length: 60 min. / 90 min. Renée Flem­ing, Amer­ica's Queen of Op­era per­forms in the Palaces of the Czars with in­ter­na­tion­ally ac­claimed Rus­si­an bari­tone Dmitri Hvorostovsky St. Peters­burg is one of the most beau­ti­ful cit­ies on earth. In this pro­gram Renée Flem­ing and Dmitri Hvorostovsky ex­plore the most spec­tac­u­lar corners of the city that was born in the re­mark­able mind of Peter the Great. 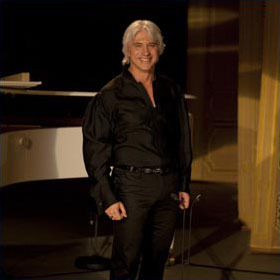 Renée Flem­ing and Dmitri Hvorostovsky have per­formed of­ten in St. Peters­burg. 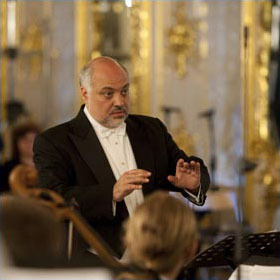 On this oc­ca­sion they will be singing op­er­at­ic duets and arias by Verdi, Tchaikovsky, Am­broise Thomas and Bellini. They are ac­com­pan­ied by Con­stantine Or­beli­an and the State Her­mit­age Or­ches­tra, and the pi­an­ists Olga Kern and Ivary Ilya.